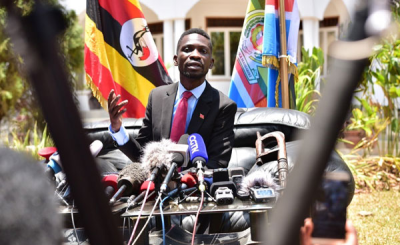 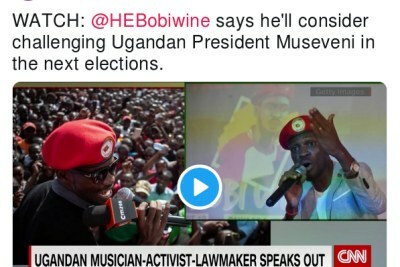 Kizza Besigye, 62, is positioning himself to challenge President Yoweri Museveni for the fifth time, while pop star-turned-politician Bobi Wine will only say he is "seriously considering" running in the country's general elections in three years. 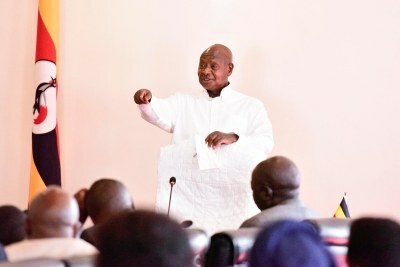 The 74-year-old incumbent has been in office for 32 years, and also wants a 7-year presidential term instead of the existing 5 years. 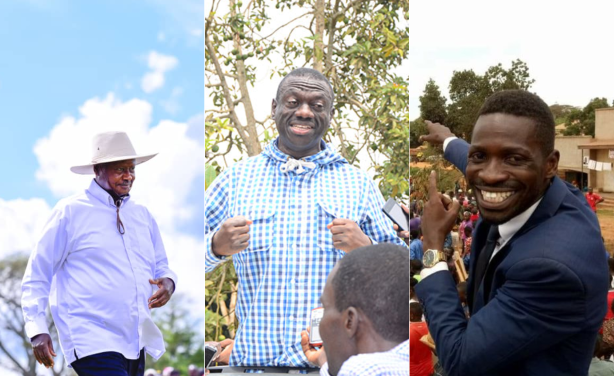 A photo montage of President Museveni, Kizza Besigye and Robert Kyagulanyi better known as Bobi Wine.